Samsung Galaxy Tab 2.0 7 Inch! Pioneer Blu–ray Front Surround System! Samsung 40" Smart Full HD LED TV! Question: How do you get these attractive gadgets to be yours without actually spending money on purchasing them?? By just picking any of these packs! I know! How can! 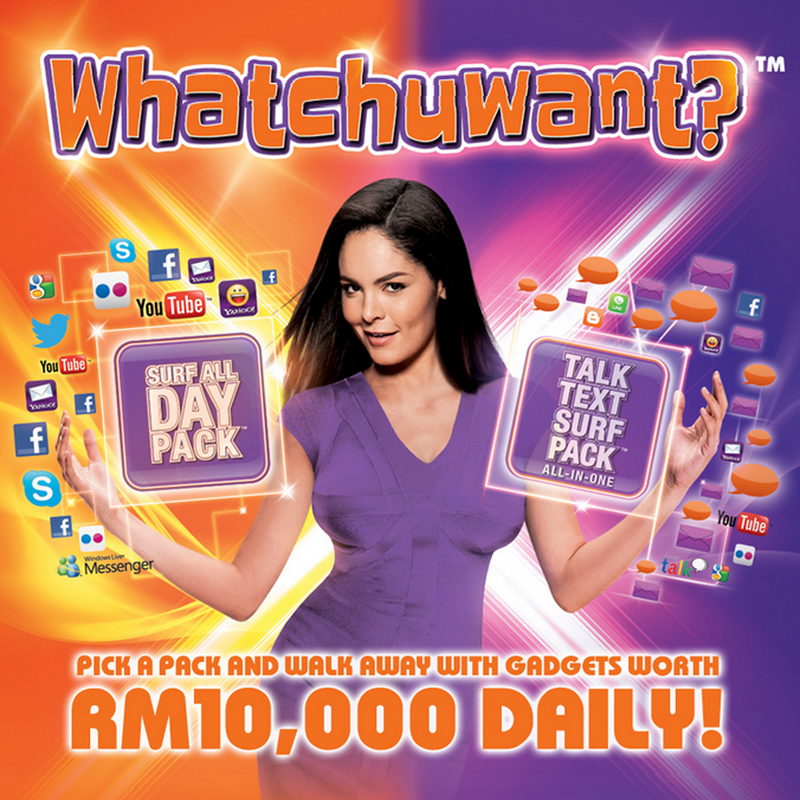 Just pick a pack and walk away with gadgets worth RM10,000 daily?? Yes DAILY! Meaning there will be a winner every day who gets to walk away with DAILY prize, which includes these awesome gadgets worth RM10,000! So you really get the best of both worlds. 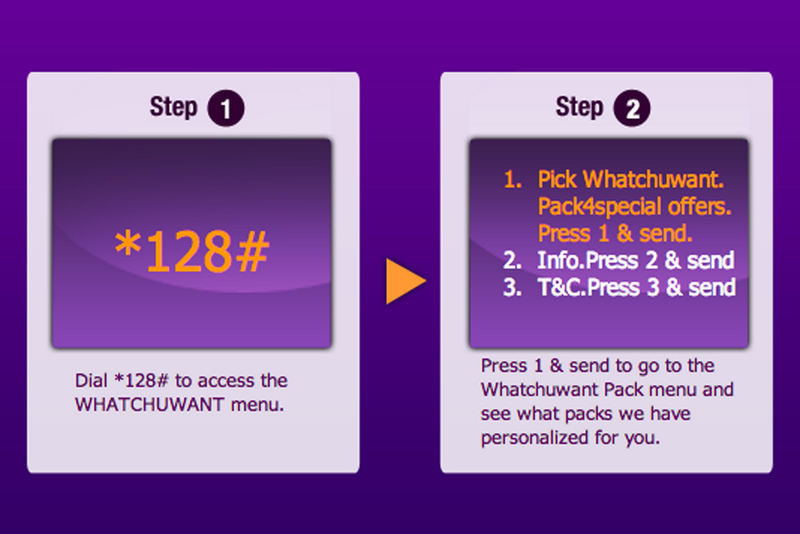 Not only you get an awesome pack which is tailored to fit your needs, but you also stand a chance to be a DAILY winner! Okay okay less talk and I'll get to the important part now. Here's how you do it! But if RM10,000 worth of gadgets is not enough for you... How about having your ride awesomely pimped up MTV style AND be a star on MTV Pimp My Ride Asia!!! Yes! Don't have to rub your eyes! It's true! There will be a few surprise ‘Pimp My Ride’ prizes throughout the entire Whatchuwant campaign period. So make sure you keep an eye on xpax.com.my during the campaign period and “Like” the Xpax page at www.facebook.com/Xpaxfb to receive updates and get more details! Trust me, you don’t want to miss your chance to get your ride all pimped up or bring home gadgets worth RM10,000 given out DAILY. Dial *128# now to get Whatchuwant! Awesome looking ride... and be a star on MTV...?? Oh trust me I definitely need it. Why? One word: BORING. My car is soooo boring I fall asleep when I stare at it for more than 5 seconds. What car am I driving? Make a guess. It is soo sooo sooooo common here in our country. In other words, the most cliche, mainstream, common and BORING model!!! You're absolutely right! I drive a Perodua MYVI!! This picture was taken back in March 2009, a couple of months before I got my driving license. The birth of my baby Myvi. Do you have any idea how many Myvi's are there on the road? Every where you go you see it! Every 10 seconds on the road you will see a different color Myvi! Sometimes you're surrounded by Myvi's! That's how common it is in Malaysia. I know I know! And before you start bombarding me with questions, here are some expected ones. "Y U NO FIX YOUR CAR???" - Because I'm just not willing to spend money on my car!!!! "Y U NO KEEP YOUR CAR NEAT AND CLEAN. WHY SO MUCH DUST INSIDE SOME MORE!??" - Because it's so boring to be in I just gave up maintaining it. "Y U MISUSE BA DUM TSS?!!" - My Movie Maker was lagging and I was editing the video in a rush. Same goes to my lack of script and my constant mumbles and words that don't make sense. Impromptu yo. "SO HOW NOW??? YOUR CAR DOESN'T DESERVE TO BE ON THE ROAD!!!!" - Which is why... I really need the extra help from Xpax Whatchuwant MTV Pimp My Ride!!!! "WHAT DO YOU MEAN BY PIMPING YOUR RIDE EXACTLY?" It's like.. taking a basic and boring ride with no extra features like this. and turn it into something cool, awesome, eye-catching and is the envy of everyone else! Okay the picture examples I've just shown you aren't exactly the best examples because I was the one doing the pimping. This is why I can't pimp my own ride. But if I were to pimp my ride, here are the Top 10 things that I'd like to have in my baby!! This may be insignificant for some but for a vain person like me, who always does her makeup in the car and check her reflection every 2 minutes, it's essential!! Huge vanity mirrors with lights and maybe bedazzled sides, on both passenger and driver side!!! I'm sure my lady passengers will appreciate it as well. Super stereo yes please! But considering what I want to do to my baby (I'll show you later below), this is kind of impossible. But then again, any sound system that's better than my current one is already good enough! Just make sure it's able to give me an eargasm! To prevent me from getting lost for hours in KL like I always do, a built in GPS instead of some lousy buttons that don't work (as seen in my video hahaha). The most common rims on Malaysian road, those are the rims I have on my baby. It does not help with the aesthetics at all! I'd like some chrome rims like the one in the after picture. Sexay!!! As for my bodykit, I have no specific preferences but just make sure that my baby's eyes look FIERCE along with some awesome lights! To transform my baby into a CONVERTIBLE! Can you imagine! A Myvi coupe convertible?? How often do you see it or have you even seen it before??? Super awesomeness. I can imagine my passengers and I singing "A Thousand Miles" out loud on the road late at night with top down. Crazy I know! But then like Albert Einstein once said, "If at first, the idea is not absurd, then there is no hope for it." Since it's a coupe, it must have a beauuuutiful door with red leather panels. 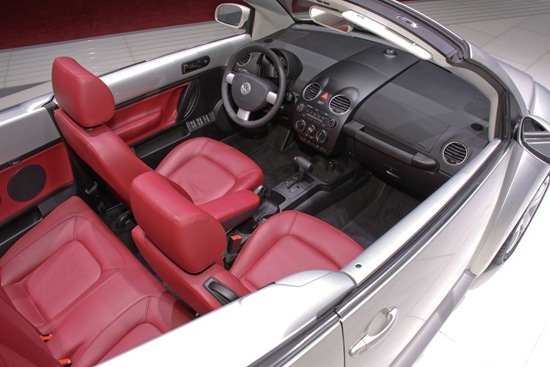 And also red leather sports seats! Woohoo! 9. Matte hot pink paint. As for the paint, I'll go for matte hot pink like this Lamborghini here. Smokin! Throw in some dope deco and my site URL (narcissists need this) on my baby's body and there we have my dream car!!! Rough sketch of the finished look! Too much of a hassle for me to photoshop the bodykit and others but you get the idea. COOL OR NOT!!!! You jealous or not hehehe. And who can make all these happen? Who else if not Xpax Whatchuwant MTV Pimp My Ride? - "I make bodies beautiful. That's what I do!" - "Sit. Relax. Enjoy the show." - "They call me the Transformer. They destroy, I rebuild!" 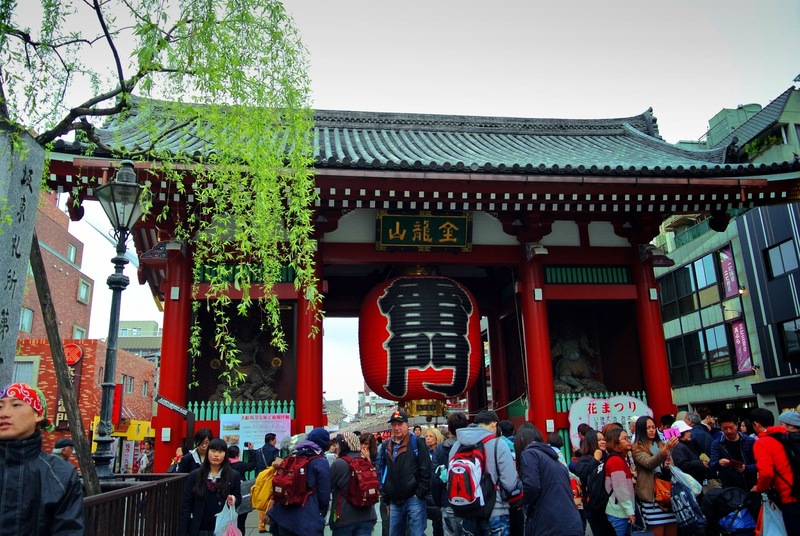 So cool one (Ｔ▽Ｔ) I need these masters to help me realize my dream! Why should I be the one who gets my ride pimped? I could have written an essay full of sob stories of how I can't afford to do anything to my car, how embarrassed and troubled I am to have to drive a sad car like my baby and everything else. BUT THEN if I were to be blatantly honest, the main reason is because I'm an attention seeker and I need an extraordinary ride to match my personality. There I said it! I hope I don't come across as too egocentric. You too can have your ride pimped by Xpax Whatchuwant MTV Pimp My Ride! Remember what I told you. Just pick a pack and win! thanks to your blog entry, if not I won't know Pimp My Ride got Malaysia Edition oso. Quite surprising right got Malaysia edition! ;p Eheh thankyou for the luck!